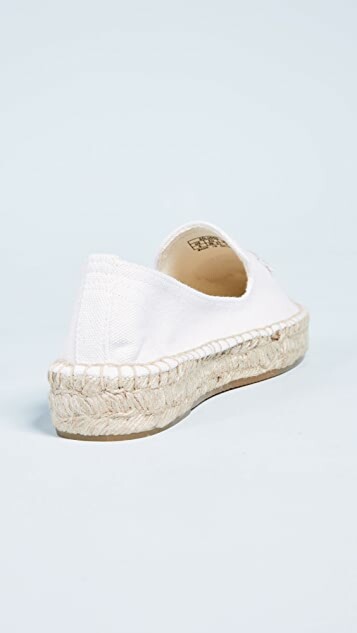 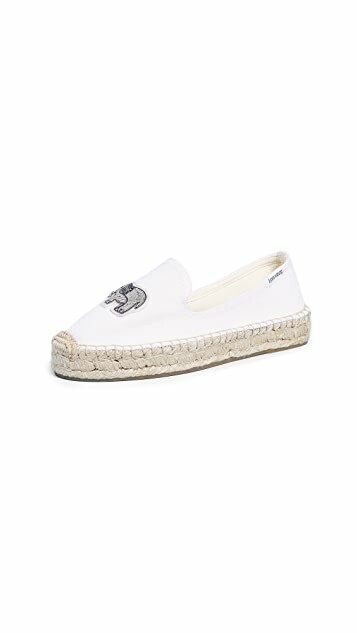 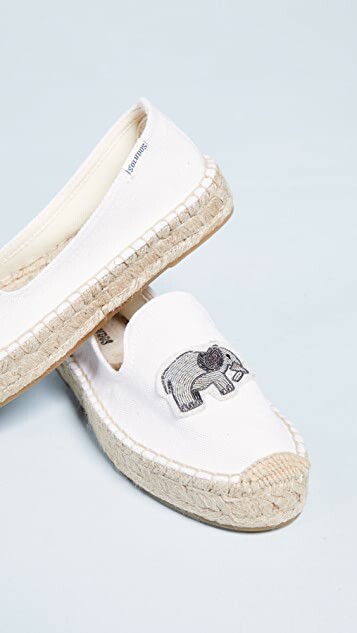 Get ready to explore the concrete jungle in comfort and style with these Soludos espadrilles smoking slippers. 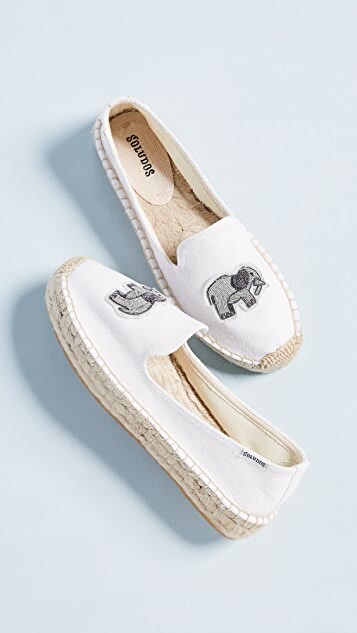 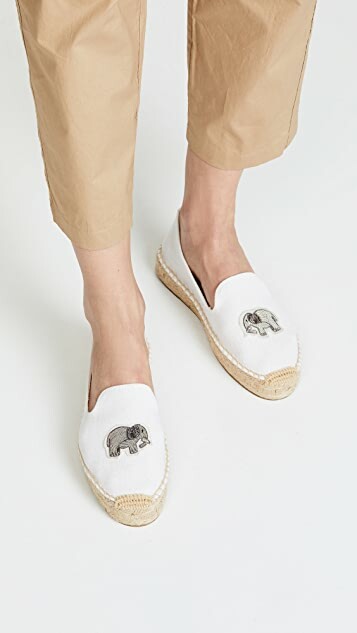 Beaded elephant patches add a charming finish to the summer-ready flats. 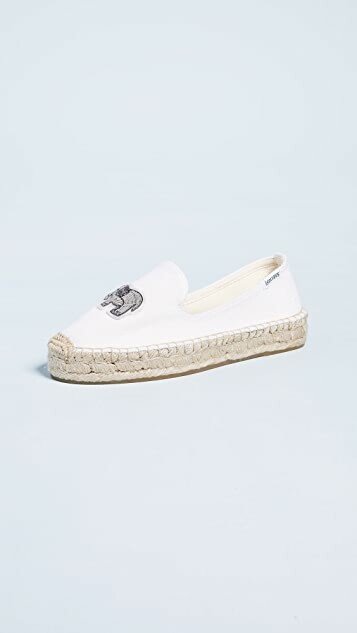 My size: 24, Soludos size: 7.5 is perfect fit.